← Thorpe business cards & taxi? Always a pleasure to work for David. Good images, nice ideas and I get paid in the highest quality menswear. 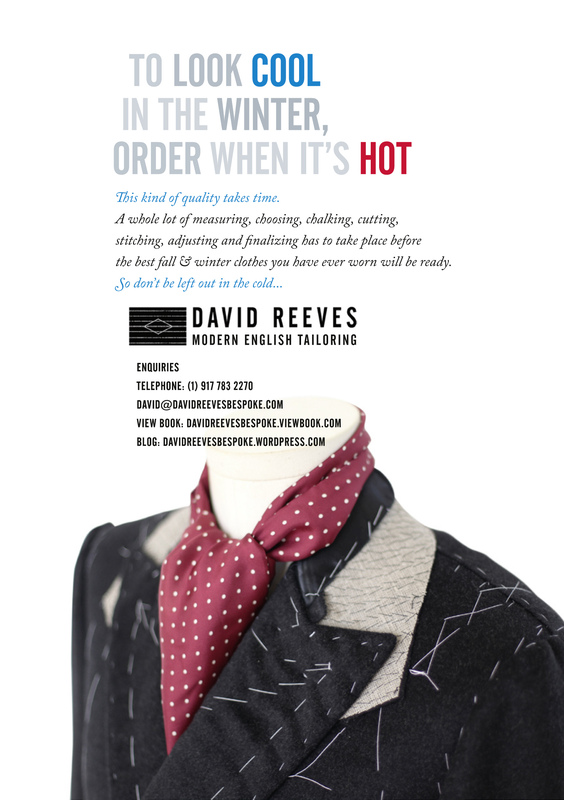 This entry was posted in David Reeves Modern English Tailor, Design, Press and tagged David reeves Bespoke, Flyer, men's fashion, type as head. Bookmark the permalink. You can be whatever you want to be. Dress up, Sister.